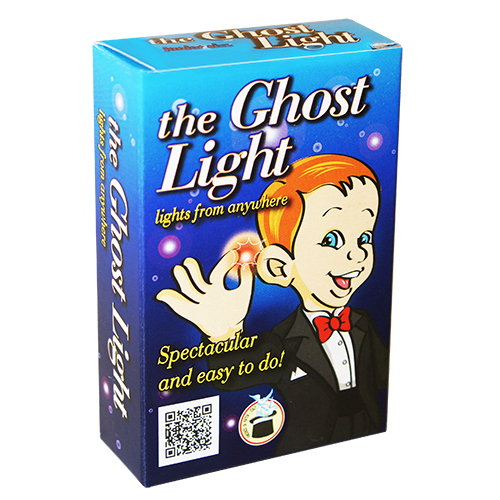 This new version of the ghost lights now has a really great quality electronic device! With this special gimmick you will be able to enchant any audience. Your fingers will magically play with beautiful red lights that will appear and disappear here and there at your will while your hands seem completely empty! This effect, if well presented, conveys pure poetry to the eyes of the spectators and can be presented in various ways. Following are just a few examples. Show your hands empty and then pretend to grab something from the air: a bright red light will appear on your fingertips. Put the light in your pocket and then go ahead and produce another light, and then another… You may produce as many lights as you wish! Pluck the red lights from the air with your right hand and put them into your closed left fist. When you open your left hand, all the lights will be gone. Make the light “jump” from one hand to the other. The audience will see one light disappear and then immediately reappear in your other hand. For this effect are needed 2 gimmicks. - Supplied is 1 gimmick Junior Size and 1 electronic device. - Easy to perform and fascinating for any kind of audience. - Professional gimmick in soft vinyl – great quality electronic device.